In some pockets of the black community, mentors are not valued. This is a shame because mentors are a wonderful source for opening the eyes of our young people to worlds they might have never imagined or reached. A mentor isn’t why, at the time 12 year old, Moziah Bridges came to “Shark Tank”, the hit ABC entrepreneurship show. He was looking for a partner to help him build his fashionable bow tie business called Mo’s Bows. However, he didn’t leave with a partner, he left with something much more powerful…..a fashion icon as his mentor. During the episode, Daymond John, who happens to be Mo’s fashion idol, told a story of someone offering him $10,000 for 40% of his then up and coming company FUBU. He declined the offer and it turned out to be a brilliant decision. So, John refused to offer Mo any money to be a partner in his business, but decided to take him on as a mentor and the two have been growing by leaps and bounds. After hooking up with John, Mo went on what seemed like a world wind tour of the business circuit attending Mercedes-Benz Fashion Week in New York, meeting many of the industries power players, even being featured on CNBC’s “Squawk Box”. But the mentoring relationship not only helped Mo, it took John to a place that even with all his success, money and influence he wasn’t able to reach alone, Neiman Marcus. Karen Katz, the CEO and President of the Neiman Marcus Group, called John for an appointment, but it wasn’t for him. The appointment was for Mo and his Bow Tie collection to be featured in the Neiman Marcus stores. Thanks to his relationship with John, Neiman Marcus and others, Mo is the 13 year old CEO of his company that has sold over $200,000 in handmade bow ties and other men’s fashion accessories, he has a new manufacturing facility making his product by hand, seven employees that include Mom, Grandma and a very bright future ahead of him. I think Moziah Bridges is a name we should all keep in the back of our heads as we are going to continue to hear great things out of this young man. However, we should also remember mentoring may not be able to turn every 13 year old in to CEO, but it can introduce them to worlds they never thought existed before. 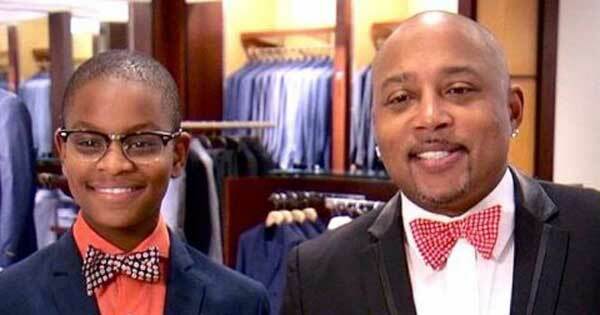 SOUND OFF: What do you think of this young CEO, Daymond John and the power of memtoring in our community?